The PR-agency Grand Relations opened up their new office today designed by Liljencrantz Design. A nice job with dark wood, combined with soft white and beige. And the windows are to die for! Want to get the look? 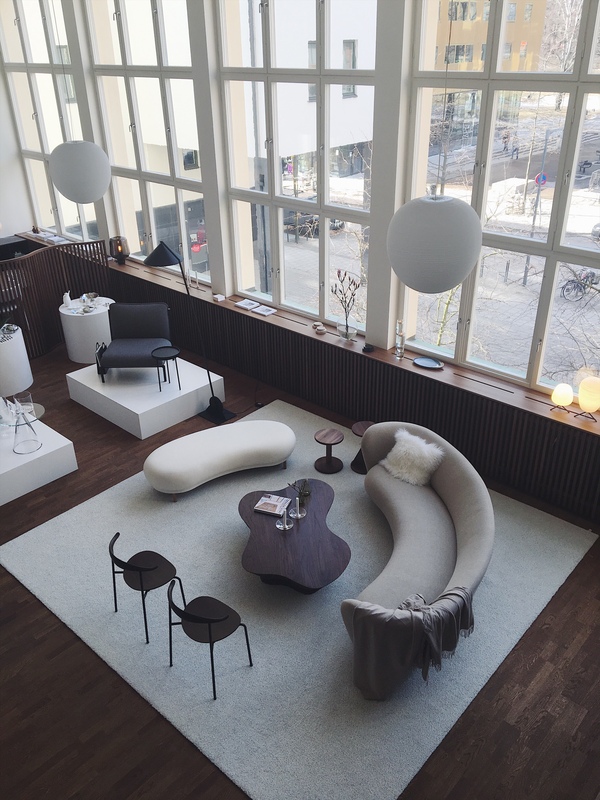 Check out Kasthall for the rug, Foscarini for the lamps and I’d say Vintage sofa or Gubi. Kidneyshaped sofa table designed by Liljencrantz Design.